Bollard repair is one of those topics that you’re either very familiar with, or you know nothing about. 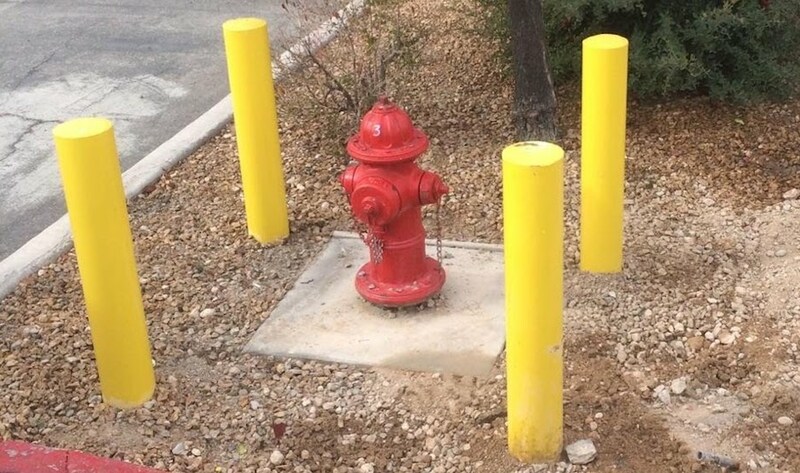 If you maintain commercial property in Las Vegas or Henderson and know very little about repairing bollards consider yourself lucky. As sturdy as they are, even bollards can’t stand up to the mix of drivers we find in the Las Vegas Valley. 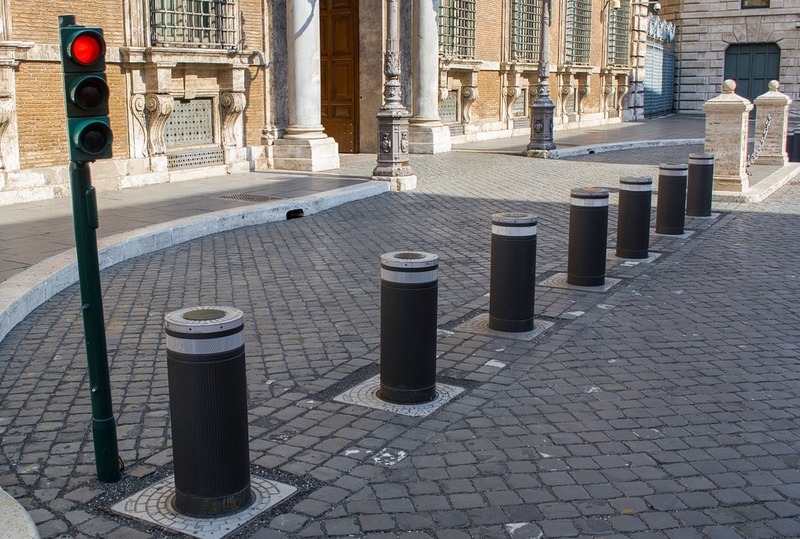 Wikipedia defines bollards as “sturdy, short, vertical posts that are installed to control road traffic.” These are those posts you see sticking out of the ground to keep you from driving down certain roads or parking your car in restricted spaces near buildings. More commonly, bollards are located in parking lots to keep motorists from bumping into important objects like fire hydrants or generators. As we mentioned earlier, if you maintain commercial property in the Las Vegas valley, each day that you don’t have a bollard accident is a good thing. After all, you’ve got enough to worry about. 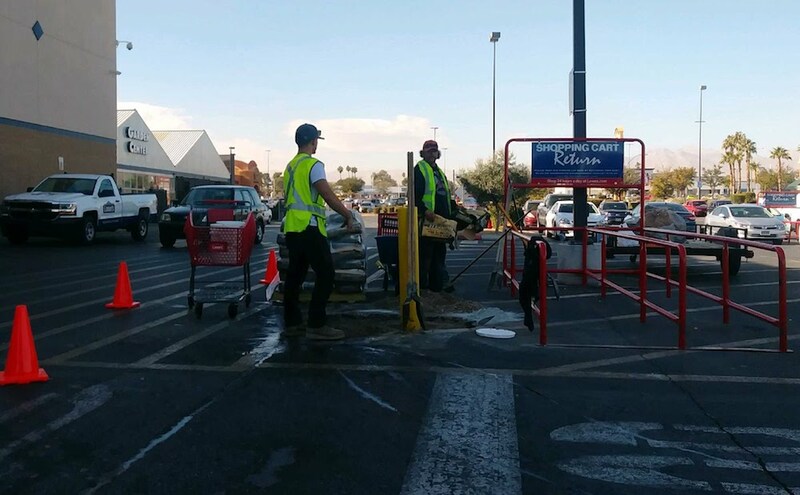 Working with large retail box stores, we’ve found that question business owners should ask isn’t if they’ll need bollard repair at some point. Rather the question should be when will they need to have their bollards repaired. Safety bollards come in various forms. From fixed, to collapsible to pop-up, each type has a specific best use. For heavily trafficked sites such as shopping center parking lots and warehouses, fixed bollards are most often the best option. They can be painted bright, attention getting colors and installed in the best locations to visually warn or physically stop motorists from damaging sensitive areas. Any area of a warehouse that is exposed to large delivery truck traffic or forklifts movement is a clear candidate for fixed bollards. A1 Fence and Gate Repair is one of the best commercial bollard repair companies in Las Vegas. What began as a favor for one of our long time customers has become a regular service that we provide to businesses from Pahrump to Boulder City. If you suddenly find yourself needing bollard repair, give us a call and let one of our friendly, experienced crews make your bollard repair problem a thing of the past.